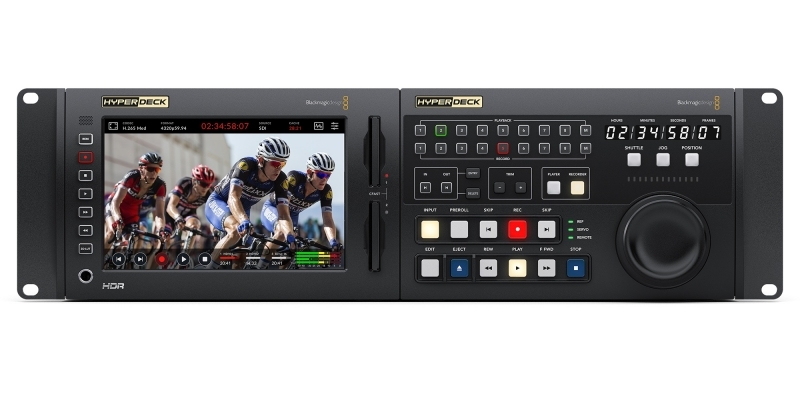 Blackmagic Design announced HyperDeck Extreme 8K HDR a new innovative broadcast deck with advanced H.265 8K recording combined with touch screen user interface and traditional broadcast deck controls. 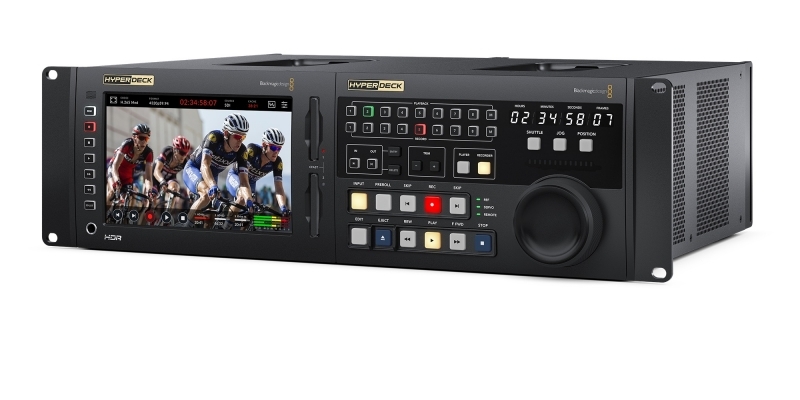 HyperDeck Extreme 8K HDR will be available in June 2019 from Blackmagic Design resellers worldwide. * Supports live production, digital signage and archive use. * Supports legacy program ingest for streaming. * Record and playback in full resolution 8K. * Large LCD screen for with touch user interface. * Optional traditional broadcast deck controls. * Dual CFast media cards for non stop recording. * Records direct to external USB-C media disks. * Optional media cache eliminates dropped frames. 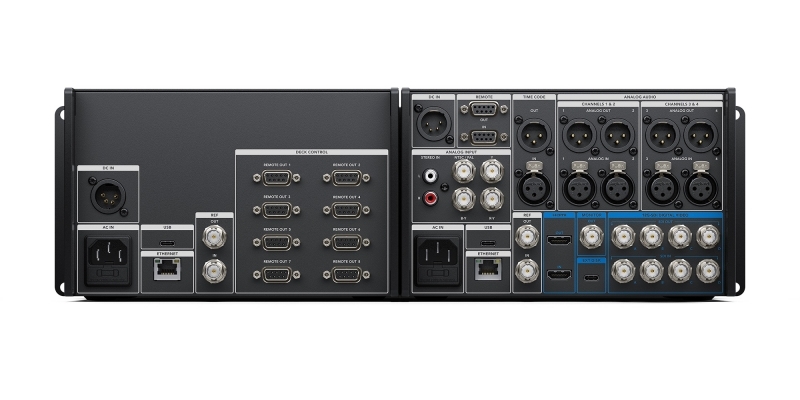 * Quad Link 12G-SDI for 8K, HDMI and legacy analog connections! * Advanced HDR support with bright wide gamut LCD. * Built in scopes include waveform, vector, parade and histogram. * Latest Multi-rate 12G-SDI for SD, HD, Ultra HD and native 8K. * Standard H.265 and ProRes files for wide compatibility. * Professional multi channel digital and analog audio. * Localized for 11 popular languages. * 10G Ethernet for extremely fast remote media upload. * Traditional RS-422 broadcast deck control. 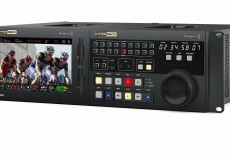 * Compatible with new ATEM Constellation 8K switcher. * Works with popular NLE software such as DaVinci Resolve.